Infectious disease has the terrifying power to disrupt everyday life on a global scale. Dr. Mike Osterholm will explore the resources and programs needed to keep ourselves safe from infectious disease. Learn about the challenges we face in preventing the unthinkable from becoming the inevitable. Dr. Mike Osterholm is Professor and Chair in Public Health, the director of the Center for Infectious Disease Research and Policy, Professor in the Division of Environmental Health Sciences, and an adjunct in the Medical School at the University of Minnesota. 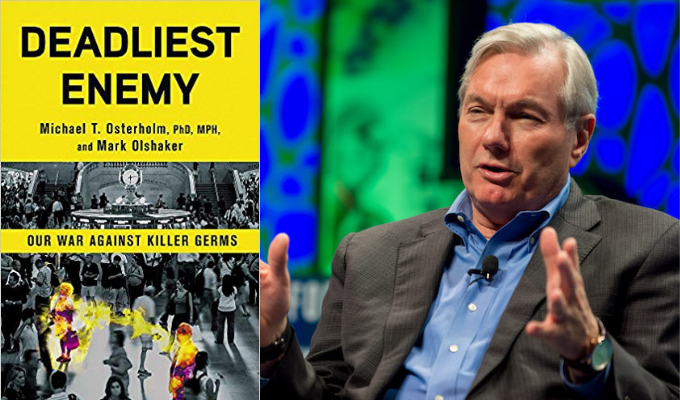 He is the author of Deadliest Enemy: Our War Against Killer Germs, a book which details pressing infectious disease threats and prevention strategies, including global flu pandemic as a major concern. Dr. Osterholm is an international leader, guest lecturer, and the author of more than 315 papers, abstracts and book chapters. This program is part of the NEA Big Read in the St. Croix Valley. Program is free, and no registration is required. Curious for more? Check out these infectious reads.